Finnish business, innovation, science and technology magazine Tekniikka&Talous wrote about Spinverse-partnered INNPAPER project on June 21st 2018. EU is funding a large research consortia project to create a printed electronics platform from cellulose to replace plastic, and Finnish key players in the field VTT, Aalto University and Spinverse, are in on the action. INNPAPER, now half a year running, is fully backed by EU-funding as a so called RIA research project (Research and Innovation Action). Paper has been used in earlier printed electronics projects due to its low price. INNPAPER, however, is utilizing the functional properties of the cellulose-based fibers as part of the electronics. Professor Orlando Rojas from the Department of Bioproducts and Biosystems in Aalto University explains, that the cellulose material acts as a plastic-like substrate, where battery, antennas, nfc-connections and different sensors can be applied to. Nanocellulose film is smooth and dense enabling to attach the printed electronic components well on its surface. Finnish know-how and wide experience on tailoring wood-based fibers and nanocellulose materials plays a big role in this EU-project. Principal Scientist Tekla Tammelin of VTT says, that nanocellulose fibers developed in Finland enable films and sheets with more versatile features than those based on ordinary cellulose fibers. Partial water resistance, electrical conductivity and transparency are some examples of features that can be achieved in near future. The research groups in VTT and Aalto University are tailoring nanocellulose to adapt to the needs of different applications. In addition, VTT is focusing on roll-to-roll production methods. Rojas believes the most important outcome of the research would be a recyclable and updatable electronics platform based on cellulose, which could in many cases replace the widely used plastic. Potential end products of the research can be e.g. smart labels for quality control of food packaging, devices for quick drug tests from saliva and diagnostics of influenza virus and streptococcus A bacteria, which are examples of the concrete use cases studied in the project. This way the recyclability of paper can be combined with functional electronics. According to Tammelin, though the project is heavily research-oriented, it also includes major industrial players from different parts of the value chains, and the goal is to develop three prototype devices for the main use cases studied by 2021. 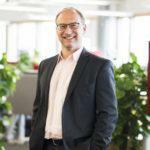 Spinverse, a Finnish innovation consulting company specialized in EU-projects, is developing exploitation and business plans to support commercialization of the developed solutions, says Principal Consultant Markku Heino. Spinverse is responsible for the projects communication, dissemination and exploitation work package, and by the end of the 3.5 year project Spinverse will produce a business plan for the industrial line manufacturing of these smart paper-based electronic devices. See our reference Smart paper-based electronics on the INNPAPER project. Check out the latest news in the INNPAPER website.